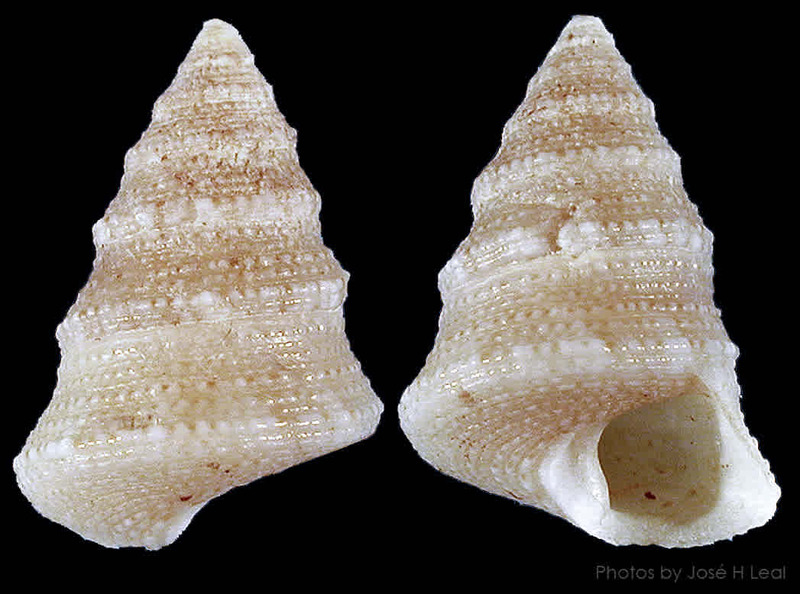 Shell size to 18 mm; shell turbinate, spire angle smaller than most Calliostoma. Whorls flat-sided, shoulder well-defined, giving stepped aspect to spire. Whorls covered with finely beaded spiral lines. Color tan, mottled with reddish brown spots and irregular grayish streaks.